Cutting open the Whole Wheat Bread and getting ready to spread some good French Butter on a piece. 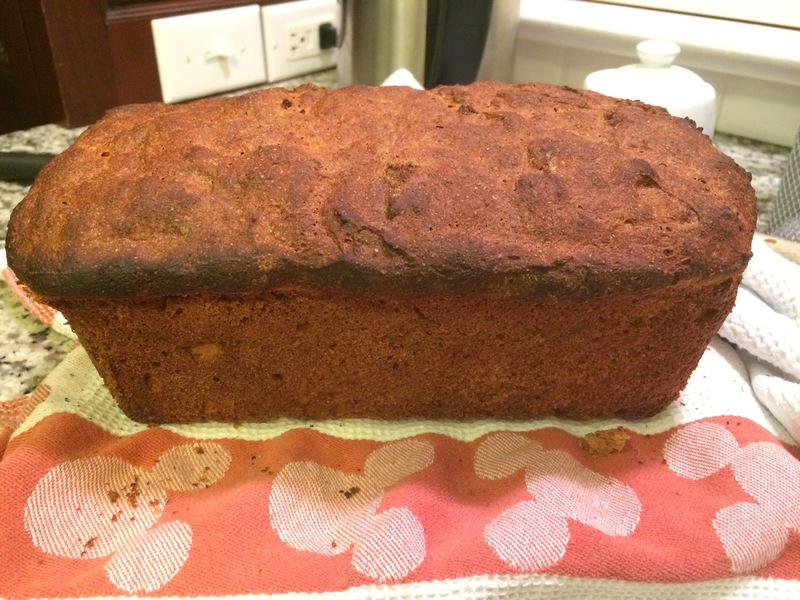 A good, easy to make, basic whole wheat bread recipe should be in every home baker’s arsenal. 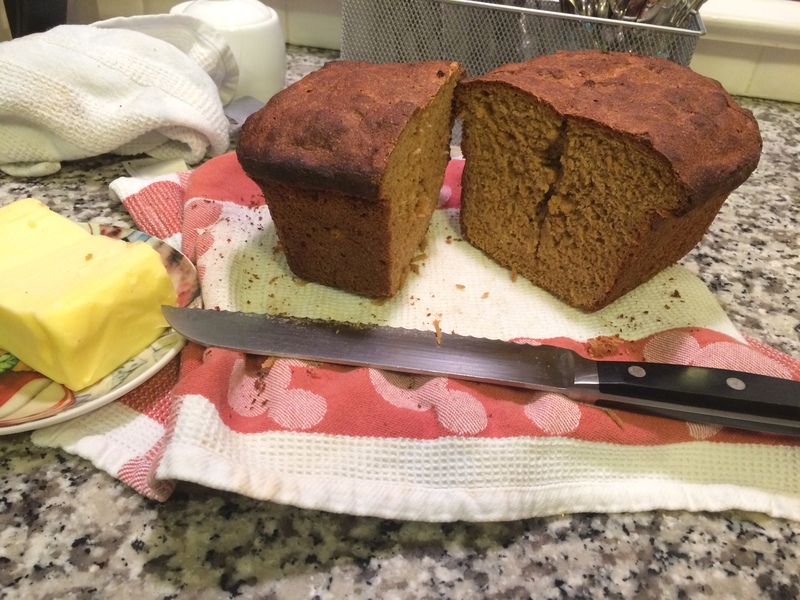 Our version of a Basic Whole Wheat Bread recipe is adopted from the classic cookbook, Beard on Bread Book (who acquired his recipe from Myrtle Allen, owner of Ballymaloe House, a country-house hotel near Cork, Ireland). We like this recipe because it doesn’t require long rise times and, more importantly, is a no knead bread. We did swap the molasses for a high quality wild honey and the end result was more pleasing, in our view. The other modificaton we suggest is cutting the recommended salt amount to 1/2 tablespoon. A nice way to enjoy the bread is with good quality butter and jam or toasted with a hearty tuna or chicken salad. Enjoy the recipe and be sure to check out some of our other Scordo.com bread recipes, if you fancy yourself an expert baker! Whole Wheat Bread prior to slicing – notice the great crust! Put flour in a large mixing bowl and place in a warm oven. Both flour and bowl should be warm when you make the bread. Dissolve yeast in 1/2 cup of the hot water and allow it to proof. Stir molasses into the other 1/2 cup of hot water. Combine flour, proofed yeast, molasses, and salt in a bowl. Add enough hot water (about 1 cup or more) to make a wet, sticky dough. Put directly into a buttered 9 x 5 x 3-inch bread tin and allow to rise by one-third its original size. Preheat oven to 450°F. Bake for 50 minutes, or until the crust is nicely browned and the loaf sounds hollow when tapped. Turn off the oven. Remove from the pan and leave on the rack in the turned-off oven for 20 minutes more to give a crustier exterior.